Are you looking for something different to read? Do you want to widen your reading horizons and challenge yourself? Then why not take part in our Summer Reading Challenge? 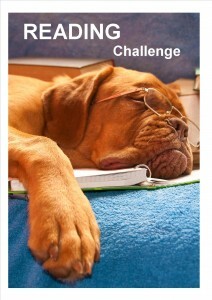 The Reading Challenge will run all summer from Sunday 1st December 2013 to Friday 28th February 2014 and is open to all adult library members. All you need to do is use your Library card to borrow and read any book from either the ‘Lift the Ban’ or ‘Down Under Reads’ reading lists. Print your lending receipt and circle the item/s. Drop your lending receipt in the entry box. Entry boxes are located at Parramatta City Library and all branches. Receipts will be checked and all correct ones will be placed in the draw for a prize. Prizes will be drawn and winners notified by late March 2014. The more you borrow & read the more chance to win a prize. Alternatively you can click on the link below to download a copy.